These were the days before Yom Kippur. I was lonely and couldn’t figure out why. The loneliness had been there for months. Things were good with my wife and kids. I’d been on the phone with my sisters and in close contact with my friends. So, what was the source of this loneliness? We all miss God sometimes, if we choose to have an awareness of God at all. We’re all afraid of God sometimes, if we choose to be aware that God is a righteous judge. 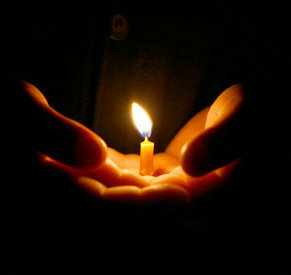 For many religious Jewish people at this special time of year, emotions can run high. Minds and hearts are turned toward God in a way that doesn’t have any sort of comparison in the Christian world. Most Christians have little regard for Yom Kippur or the Day of Atonement. We’ve been taught that Jesus Christ atoned for our sins and we are free from sin and death through his grace. Does that mean Christians never get lonely and miss God? Does that means Christians can’t get angry at God? 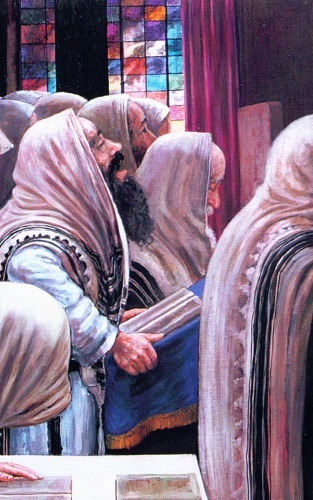 As Yom Kippur drew close, I continued to wonder what was taking place between G-d and me. I worried that this day of prayer and fasting would be void of the usual connection that Yom Kippur brings. And then in a flash I realized that I was angry at G-d. And had been for some time. I was angry about my disease and I was angry that I was not yet healed. I was angry about my pain. And I was angry at the disruption to my life, the fear, the worry and anxiety that my disease was causing my family and those who loved and cared about me. I was angry about the whole thing, and He, being the boss of everything that happens in the world, was responsible and to blame. And so, I entered Yom Kippur angry at G-d.
Actually, Jay Litvin had a lot of reasons, at least from a human perspective, to be angry at God. I won’t reveal more until the end of this missive, but think about it. Have you ever been angry at God? Have you ever thought God treated you unfairly? Nevermind that you know God is perfect, and righteous, and without sin, and cannot make a mistake, and cannot be unfair. Even the best of Fathers sometimes seems unfair to his children. So it is between us and God. I once knew an elderly Jewish gentleman who was angry at God. He blamed God for the Holocaust. He blamed God for the execution of six-million Jews and the incredible torture of so many more who had survived. He was already in his 90s when I knew him and he said that when he died, he was going to confront God and give God a piece of his mind. I know. It sounds ridiculous. But it also sounds very human. If you felt as if God had done you some wrong, could you learn to forgive God? I prayed for G-d’s forgiveness, and in my prayer book I read the words that promised His forgiveness. He would forgive me, I read, because that was His nature. He is a forgiver. He loves me. He wants me to be close to Him. And so He forgives me not for any reason, not because I deserve it, but simply because that is who He is. He is merciful and forgives and wipes the slate clean so that we — He and I — can be close again for the coming year. I read these words, nice words, yet my anger remained. Then I again remembered the email. In his cynicism, my friend had hit the mark: I needed to forgive G-d. I needed to rid myself of my anger and blame for the sickness He had given me. I needed to wipe the slate clean so that He and I could be close once again. But how? On what basis should I forgive Him? If He was human, I could forgive Him for His imperfections, His fallibility, His pettiness, His upbringing, His fragility and vulnerability. I could try to put myself in His shoes, to understand His position. But He is G-d, perfect and complete! Acting with wisdom and intention. How could I forgive Him?! But wouldn’t it be an affront to God to even consider that He needed our forgiveness, regardless of the circumstances of our lives, regardless of our hardships, regardless of how we have suffered and how those we love have suffered? Isn’t God, regardless of what has ever happened to us, immune from being forgiven because He is perfect and His will is perfect? But maybe none of that really matters to those of us “on the ground,” so to speak. God certainly understands how faulty we are and how screwed up our thoughts and feelings can be, especially when we’re under a lot of stress, a lot of pain, a lot of anguish, and a lot of grief. In the ten days between Rosh Hashanah and Yom Kippur, it is expected that Jewish people will pay tremendous attention to how they’ve lived during the past year, recount any incident where they may have injured or offended someone, and then make every effort to make amends to those people, if at all possible. Sometimes the human need in us to forgive means when we feel hurt and there’s no one else to be angry at, we get angry at God, and in that anger, we need to forgive Him. Even though God doesn’t really need our forgiveness. Even though on a cosmic scale, we understand that He hasn’t done anything wrong and, being God, that He can’t do anything wrong. It helps us to forgive. It helps us to heal inside. It helps to heal our relationship with God. And out of that, our relationships with everyone else heal, too. And in the last minutes of Yom Kippur, out of my unbearable loneliness and separation from G-d, I found my ability to forgive. I forgave simply so that we — G-d and I — could be close again. So that we would return to the unity that is meant to be between us. Out my love for Him, my need of Him, my inability to carry on without Him I found the capacity somewhere in me. I reached out to Him in forgiveness and in that moment the pain and blame began to recede. For me, Yom Kippur has not ended. This forgiveness business is not so easy as to be learned and actualized in a day. My anger and resentment, frustration and intolerance still flare, still cause damage. On my bad days it is hard for me to accept all that is happening, changing, challenging my life. But some new dynamic has entered the process. A softening. An acceptance. A letting go. A…. forgiveness. For, you see, the last thing I want during the fragility of this time in my life is to be separate from G-d or from those whom I love or from the rising sun or a star-filled night. Yom Kippur is a gift. It’s God giving us the opportunity to repair the gaps in our lives that stand between us and the people we love. Through forgiveness and asking for forgiveness, we can repair what we have broken in the past year (or anytime in the past). We don’t have to be alone. If we feel alone, much of the time, no one is to blame except us. If we feel the absence of God, it is definitely because we have separated ourselves from Him. God gave Jay Litvin the gift of forgiveness on Yom Kippur. He forgave God and he repaired the rift between them. God came close to Jay again. Love makes people unforgettable. Love makes God unforgettable. But until we forgive, we remember not the love, but its absence and the pain it causes. Yom Kippur is a reminder. We can forgive at any time. We can stop the loneliness and isolation at any time. Thankfully, G-d has provided me with the capacity to forgive and, now, in these days since Yom Kippur, he has provided me with the opportunity to reveal that forgiveness. He knows that both He and I, and all those that He and I love, will eventually, continuously do unforgivable things to each other. And despite the pain we will cause each other, we will need to forgive each other. 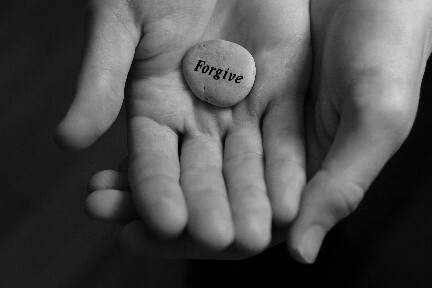 To not forgive would be an unbearable breach of the unity of creation. Jay’s article, like Yom Kippur, is a gift. I didn’t realize how dear and precious a gift until I read the very end. Jay Litvin was born in Chicago in 1944. He moved to Israel in 1993 to serve as medical liaison for Chabad’s Children of Chernobyl program, and took a leading role in airlifting children from the areas contaminated by the Chernobyl nuclear disaster; he also founded and directed Chabad’s Terror Victims program in Israel. Jay passed away in April of 2004 after a valiant four-year battle with non-Hodgkin’s lymphoma, and is survived by his wife, Sharon, and their seven children. This year, Yom Kippur begins at sundown on Friday, September the 13th, and ends at sundown on Saturday the 14th. As the sun descends toward the western horizon late Saturday evening, will you know that you have been forgiven and that you have forgiven all others, especially God, with all your heart? WONDERFUL ARTICLE, James! So profound and powerful! Can I please make it a note on my Facebook page, with full credit to you? I want ALL of my FB family to read it. Sure, Dave. It’s available to be freely distributed. Thanks. Thanks, James! Just wanted to make sure! To chaya1957, most people are aware He needs no forgiveness or ever could, but James is surely right in saying that if it healed Jay’s heart, G-d was indeed at work in that. It had to be ESPECIALLY hard for the generation of the Shoah to attempt ANY kind of faith in Him after what we goyim put them through! I’m also reminded of how I used to curse Him for my wife’s fibromyalgia, in language I can hardly print here! Once the pain subsided and I had a chance to fear Him again and asked His forgiveness, I felt like He had because He Himself had planted the love for her in me that caused me to get in His Face. Of course, I didn’t want that overzealous love to become idolatrous and harm my relationship with Him, but I was glad that He was big enough to cut me some slack, like James was implying in his answer to you. I can certainly understand the idea of anger at God, whether as a result of the consequences of one’s own foolish behavior, and for suffering, both in ourselves and others that is beyond our control. But the concept of “forgiving God,” assumes that we have the right and ability to judge God and his actions with our finite minds and from our very limited vantage point. Even in the US system of justice, a defendant has the right to be judged by a jury of his peers. Who is a peer to the Creator and Sustainer of the universe? Rather than forgive God, if we harbor that sort of thinking, we need to repent of our ignorance and arrogance, and in humility accept that his ways are higher than our ways; his thoughts are higher than our thoughts. I can only imagine that as far as Jay Litvin’s situation was, the emotions attached to “forgiving” God were the only way he could let go of the pain, anguish, and resentment. I don’t know if it was imparting forgiveness per se, but the release of the hurt that stood in the way of Litvin returning to a sense of closeness with God. I can only imagine that God can forgive any implied insult we might express when we “forgive” God, knowing how frail and messed up human beings can get. It would be as if a small child were to blame his father for something completely reasonable for his father to do (which nevertheless caused the child discomfort) and then forgive his father. The Dad might chuckle at the inappropriateness at being forgiven and understand that, after all, his son is just a child and can get things mixed up. This is also true of our relationship with our Father in Heaven. That is a good thought James. Job weighs in on this too. I still think that to forgive God implies that God can do wrong, which would be idolatry of one’s own thinking and feelings. I would agree that God is not offended at our immaturity and foolishness, and is willing to shed light into our darkness, if we seek it. I’m really sorry James, I just read your email. I did not intend to attempt to “SPAM” your blog. I came across your article on the freshly pressed page after recently writing a piece over forgiveness myself and I appreciated your perspective in your article. I was only trying to do that ping back thing for a related article so that my readers might see it as a related article. I’m still relatively new to this blogging thing and have people do that to my stuff regularly and didn’t know it is frowned upon. I thought that you might possibly also take a glance at my article if you were interested, but it was more to do with the linking of it being a good article on a related topic… Again, sorry for any confusion there may have been, I didn’t mean to cause any annoyance. I hope you’re not upset by my actions and that you and your family are doing well. Greetings, Samuel. I think there’s an actual “reblog” button on the blog post that can be used. A pingback would be just putting a link to my blog post on yours. If I approved of the pingback, then a link back to your blog would appear in the comments noting that it was a pingback. Sorry to be so punitive, but as a blog owner, I’m sure you experience a fair amount of spam as well. I tend to be cautious.